Considering how action-packed a theme like LEGO Castle can get, it’s often surprising that some of the most interesting medieval creations are ones where there’s no sword fighting or sieges at all. 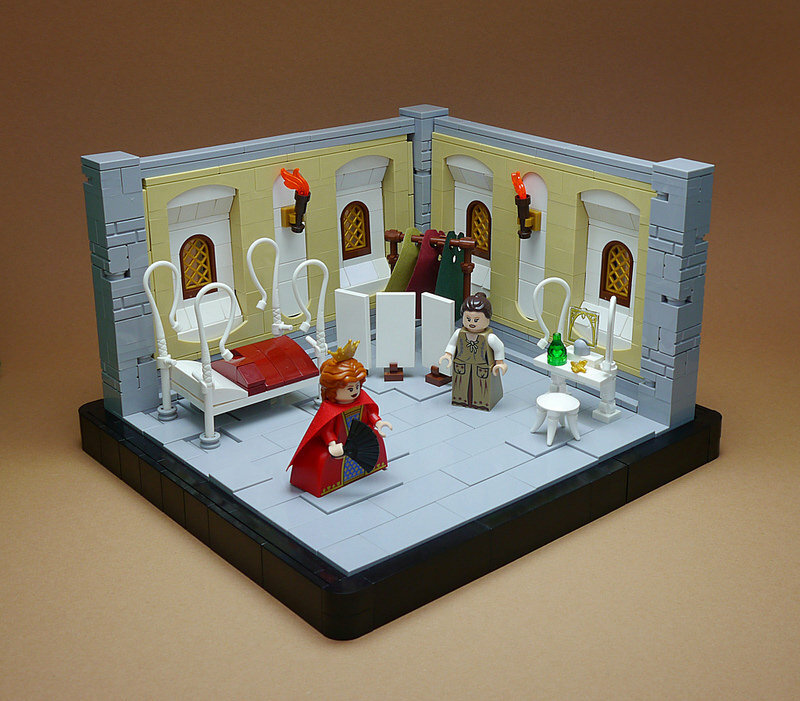 Enter Marcel V and his tranquil build, the queen’s chamber. Featuring all the necessary royal amenities such as luxurious garments, enticing perfumes, and under-appreciated handmaidens, this is one bedroom to make any queen the envy of all other monarchs.